June 9, 2013 : A funny little waltz from Joseph Allard; the Valse du coq (Rooster waltz). October 22, 2012: An interesting metamorphosis from Scotland to Quebec; the Reel du chaloupier (Boatman's Reel). October 7, 2012: A lively tune for those fall dances: the Reel St-Ignace. September 9, 2012: Thanks to a generous transcriber (who prefers to remain anonymus); the Brandy from Kedgwick. Warning: Dancing on this tune may lead to dizziness. September 4, 2012: A lively march for those long fall walks; the Marche du quêteux Pomerleau (Beggar Pomerleau's March). August 25, 2012: My numerous travels of the last few months forced me to hang arround establishments where these two reels would have been appropriate: the Gin Reel (Reel du gin), and the Cigarette Reel (Reel des cigarettes). August 12, 2012: A very nice tune (with a lovely syncopation, just the way I like them!) by Claude Méthé; the Reel à Robin. May 29, 2012: A little tune from Joseph Allard's repertoire; the Traveling Salesman Reel (le Reel du colporteur). May 13, 2012: A catchy little reel specifically designed for a square dance; Les mains blanches. April 15, 2012: Winter has been frightfully busy, but spring is back! Lets celebrate with an lovely jig from Graham Townsend; Murray River. December 12, 2011: A lovely tune by Pierre-Luc Dupuis from the group De temps antan; Les jumelles de Bonaventure. December 6, 2011: Another one by Joseph Plante; The Joiner's Galop (Galope du menuisier). December 1st, 2011: A little march to put some dance in your step; the Marche des prisonniers (Prisoners' March). November 21, 2011: A lovely tune (among my favorites), Le ruisseau français (The French Brook), by fiddler André Brunet. November 14, 2011: Another tune from Joseph Plante; the Buck Reel — simple but effective. November 6, 2011: A small bio of accordeonist Joseph Plante, and one of his pieces; the Reel de la catalogne. October 24, 2011: A catchy reel with a peculiar name; Marie, sauce ton pain (Mary, dip your bread). October 15, 2011: A very catchy reel from the repertoire of fiddler Yvon Mimeault; L'accroche pied. September 27, 2011: A little break from Mr. Soucy; an air form the repertoire of Louis "Pitou" Boudreault — La pêcheuse. September 19, 2011: Another reel from the repertoire of Isidore Soucy; the Reel des ancêtres. Septembre 13, 2011: At the request of one of their members, I've improved the sound quality of samples taken from Raz-de-marée's CDs. Type this name in my search engine and you'll see that I've frequently used their music — they are, in my opinion, the most "authentic" french canadian trad group around these days. September 8, 2011: Added an other reel from the repertoire of Isidore Soucy; the Reel à Ti-Père. August 29, 2011: Added a stomping reel from the repertoire of Isidore Soucy; The merchant's gigue. August 21, 2011: With transcriptions from one of my readers* — as generous as he is erudite —two rarely heard modal pieces; the Reel Émard and the Good old galope. * Who prefers to remain anonymus. July 30, 2011: Added a beautiful little march for those long summer treks; the Marche St-Hilaire. July 22, 2011: Added the little reel Le petit métier. July 1st, 2011: Added the Reel à Phylias, a nice little an dro sounding tune. June 13, 2011: Added Le rossignol (The Nightingale). June 5 2011: An hommage to cinema? : "The pop-corn". May 28, 2011: After months of absence (I wasn't in prison, just got a new baby), a litte march to get back on the beat; the Marche de Thomas Pomerleau. February 21, 2011: Added two pieces — the Reel à répondre and the Reel St-Étienne. Also added a link to the blog Whistlers du Québec, for french speaking whistle players to be. January 21, 2011 : Added the Reel des nouveaux mariés (the Newlywed's Reel), and a page on accordeonis Adélard Thomassin. January 12, 2011 : Found new names and interpretations for the Quadrille Montcalm. January 5, 2011 : Thanks to Greg, added the reel Les vagues du St-Laurent, from Aimé Gagnon. Another reader (an american, this time*) graciously sent me the source of the Reel d'or. December 12, 2010 : Coming out of a three-month hiatus (you have no idea how time consuming a newborn can be! ), a timely piece that is really traditional — Huron Carol, by the jesuit Jean de Brébeuf. Merry Christmas to you all! September 20, 2010 : Mr. Yvon Mimeault was kind enough to tell me the story behind his piece L'histoire de mon vieux coq (The story of my old rooster). September 12, 2010 : Added the Reel du pont, from Joseph Allard's repertoire. September 6, 2010 : Added another piece from Joseph Allard's repertoire, a march this time — the Marche Sir Wilfrid Laurier. September 2, 2010 : Added the Reel de la paix (aka Reel du pêcheur), from Joseph Allard. August 29, 2010 : Added the reel Le voyage by accordeonist Eric St-Pierre — and a biography of the latter. August 7, 2010 : Added the Reel du plombier (Plumber's Reel) from Joseph Allard's repertoire. July 31, 2010 : Added the reel Le poteau blanc from Joseph Allard's repertoire. July 25, 2010 : Added the Gigue du violoneux from Joseph Allard's repertoire. July 19, 2010 : Added the Reel St-Sauveur from Joseph Allard (and translated his bio page to english for the American market). July 10, 2010 : Corrections to the page for Reel du régiment (that Joseph Allard called Reel de mon maton). Added the tune La mère Blanche - quadrille, also by Joseph Allard. July 1st, 2010 : A few corrections to the pages for La grondeuse, La grande faucheuse, Le batteux, and Le talencourt (thanks to Daniel Roy). Also, at the request of the composers*, I had to remove all the tunes from Messrs. André Marchand and Richard Forest (Mr. Forest tells me that he expects to publish his scores, all is not lost). * I neglected to ask their permission before publishing, which is inexcusable. June 1st, 2010 : Added the Step à Ti-Phonse et the reel André à Toto (Reel) (and a few corrections to the page of André à Toto (6/8)). May 24, 2010 : Added the March of the King of Laois — having been played in the mythical "Veillée des veilles", it has a certain historical significance but, really, I put it here because I really enjoy playing it on the Irish flute. May 11, 2010 : After months of procrastination (for which I only have lame excuses) added the Reel de Ste-Blandine, and the Salamanca Reel. February 6, 2010 : Added Reel Arthur, and Reel Como. January 27, 2010 : To allow my numerous readers (said he, eyes humbly averted) to participate more actively in the improvement of the Web site, or simply to chat on the subject, I've opened a Facebook page for "Identitairs Québécois". See you there! January 2, 2010 : Added two pieces by the magnificent composer and musician André Brunet; the Reel au ralenti, and Ciel d'automne. Also, thanks to Mr. Guy Bouchard, updated the pages on the Turlutte d'Antonio Bazinet, the Reel d'Issoudun and the Valcartier set - 1e partie. And while we're at it; Happy New Year to all of you. November 30, 2009 : Added a few notes to the Reel des deux Lisa (thanks to Vonnie and Steve). Added the Reel des copeaux de bois and Bonnet d'âne. November 19, 2009 : Erratum — The title should read "Hommage à Pierre Bacon", non Caron. November 17, 2009 : Added the Reel des vieux. Also, Mme Ouellet from Quebec City tipped me on the fact that the 6/8 en ré by Philippe Bruneau was in fact named "Hommage à Pierre Caron". November 8, 2009 : Added the four first figures of the Quadrille des ancêtres, the tune La belle époque, and made important corrections to the Hommage à André Alain page. My sister Patricia, painter and sculpter, was invited to present a sculpture at the Vancouver Olympic games. She requires participation from the public — not for money, just for you to reflect on your aspirations and fears. I invite you to visit her site (here). October 18, 2009 : A beautiful little ditty by Pascal Gemme (I like jigs, what can I say? ); Hommage à André Alain. Also, I added a note on the page of the Gigue de la débauche. August 22, 2009 : You will have noticed that many of our pages now have a much better look. This is thanks to the work of Jacques Marchioro who remoldeled them with flair. Mr. Marchioro also used his great talent to remodel an other site arbored by the Université de Napierville, Du temps des cerises au feuilles mortes, dedicated to French songs pre-1945. August 2, 2009 : Things are progressing slowly in the summer months... Added The Hunter's Purse* and amended the Reel du Père Léon's page — with thanks to Mr. Daniel Roy for his precious help. * a request by Mr. Bertin Jean, of Amqui. June 14, 2009 : A bunch of tunes by Gilles Vigneault — Alison's Reel, Reel du traversier, Reel des béris, Reel des citrouilles, and Reel du lendemain. May 23, 2009 : I was frightfully busy these last few weeks and will attempt to catch up with this little blitz... Added l'Ange aux patins, La traversée de l'Atlantique, Korolenko, and the song Un canadien errant. April 19, 2009 : A merry day with the addition of THREE tunes: Hommage à Jimmy di Genova, 6/8 d'André Alain, and the Valse des bois. April 9, 2009 : Added the Reel du Père Léon (Father Leon's Reel). March 29, 2009 : Added the Louis Cyr reel. March 1st, 2009 : By request from Gilles Q., the Saint Lawrence March (Marche du St-Laurent). February 19, 2009 : No new pages but the beginnings of a complete translation of the site to english. 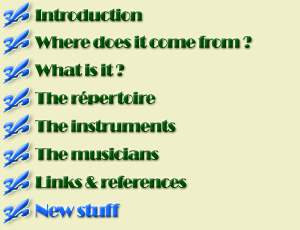 In deed, more and more english speaking quebecois music enthousiasts are writing to me with requests and questions. It seems only fair that this material be made readily available to their scrutiny. By the way, I just learned that, in New-England, a new name has been coined for descendants of french-canadian immigrants; "Yankois".